MGM Grand, Las Vegas, Nevada– The confidence, resolve, and live underdog status of Shane Mosley (46-7-1, 39 KOs) lasted for about two rounds before WBO welterweight champ, Manny Pacquiao (53-3-2, 38 KOs) dropped Mosley hard in the third round and sent the 39-year old former three division champ into a shell he never tried to crawl out of. After a promising first round, where Mosley controlled the pace and Pacquiao seemed confused and tentative, Pacquiao was able to put the fight firmly in his favor by ratcheting up the work rate and eventually leaving Mosley in the dust. After the third round knockdown, “Sugar” Shane’s offense was, literally, non-existent, characterized by little more than an infrequent and tentative flicking jab. Pacquiao pushed forward throughout, winning each moment of each round while Mosley blankly ignored the pleas between rounds from trainer, Naazim Richardson to step things up and take some risks. 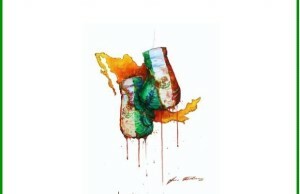 A mis-called knockdown against Pacquiao in the tenth round by referee Kenny Bayless resulted in the star from the Philippines turning up the gas to put an end to the contest, but Mosley used his experience to hang on for the remainder of the fight. 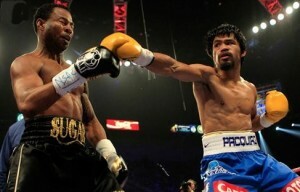 The judges’ scorecards reflected the one-sided nature of the bout: 119-108, 120-108, and, 120-107 in favor of Pacquiao. The Boxing Tribune scored the bout 118-109, also for the defending champion. In a thrilling upset, veteran Mexican warrior, Jorge Arce (57-6-2, 44 KOs) went to war and stopped defending WBO jr. featherweight champ from Puerto Rico, Wilfredo Vazquez Jr. (20-1-1, 17 KOs) in the twelfth and final round of their championship contest. Aggressive and undeterred, the native of Los Mochis, Sinaloa stormed Vazquez, minimizing the second generation star’s edge in youth and mobility. Vazquez complied, for the most part, and engaged in some rough and tough inside fighting while only occasionally utilizing his hand and foot speed. A whistling left hook from Vazquez dropped Arce at the end of the fourth round, but Arce picked things up right where he left off in the fifth and continued pressing the action. The next six rounds were an entertaining back and forth affair with both fighters turning the tide several times, Arce scoring aggressively with a bullish, rushing style and Vazquez scoring with quick shots that landed flush. 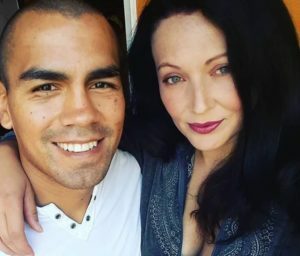 Vazquez, apparently gassed from the previous ten rounds, came out for the eleventh round with dead legs and was starting to be cornered against the ropes by a still-energized Arce. The Puerto Rican defending champ fought back hard, but was obviously at a disadvantage against an Arce who was now smelling blood. The twelfth round was more of the same with a flat Vazquez immediately being pressed against the ropes and attacked viciously. He was able to answer back with a couple of random shots, but was clearly on the losing end of the brawl. Vazquez’s father, Wilfredo Vazquez Jr. would throw in the towel for his son, with the official end coming at the fifty five second mark of the twelfth round. 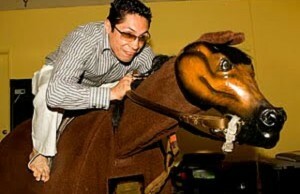 The judges scorecards later revealed that Vazquez would’ve went on to drop the decision anyway. After about thirteen months of inactivity and a stint in rehab for alcohol dependency, Kelly Pavlik (37-2, 32 KOs) won a tougher than expected majority ten round decision against a motivated Alfonso Lopez (21-1, 16 KOs). Pavlik, sporting some ring rust in the early rounds, struggled early on against a mobile Lopez, who fought from the outside for most of the fight. As Lopez slowed down and Pavlik found his rhythm in the middle rounds, the former middleweight champion from Youngstown, Ohio began to land some heavy shots to the head and body. Never hurt, until the tenth and final round, Lopez fought well, but came up short in the end, dropping a majority decision on the judges’ scorecards: 95-95, 98-92, 99-91. 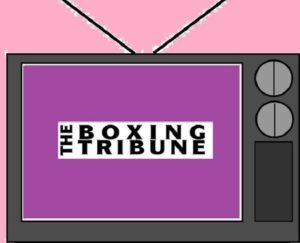 The Boxing Tribune scored the contest 97-93 in favor of Pavlik. In a disappointing pay per view opener, Ghana’s Ray Narh (25-2, 21 KOs) quit on his stool after three relatively competitive rounds against Mike Alvarado (30-0, 22 KOs). 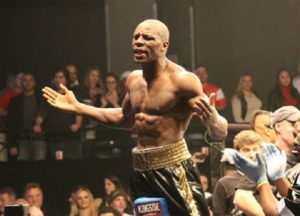 While Narh was losing the contest at the time of his retirement, nothing devastating had been landed and both fighters seemed on solid ground. Manny Pacquiao-managed, Rodel Mayol (28-5-2, 21 KOs) won a closer than expected majority ten round decision over journeyman, Javier Gallo (17-4-1, 9 KOs). 18-year old prospect, Jose Benavidez Jr. (11-0, 10 KOs) stopped James Hope (6-8-1, 4 KOs) in five rounds via TKO. Filed Under: Featured, News Tagged With: Alfonso Lopez, Jorge Arce, Jose Benavidez Jr., Kelly Pavlik, Manny Pacquiao, Mike Alvarado, Ray Narh, Rodel Mayol, Shane Mosley, Wilfredo Vazquez Jr.